Recognition of the importance of children’s early development from birth to kindergarten has increased significantly over the past two decades, and major public and private investment in early childhood has come along with it. 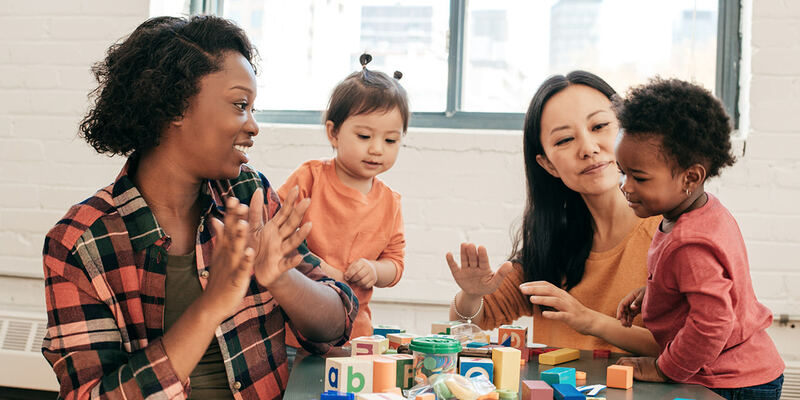 With breakthrough research on how children develop and learn in the earliest years and decades of program delivery, the early childhood field knows more — and arguably has more opportunity — than ever before to support children’s healthy development and learning. And yet, despite so much positive effort, attention, and momentum, the field is not seeing the impact it is seeking or innovating fast enough to take advantage of the increased investments and focus on early childhood. Nationally, one in three children are not ready for kindergarten, and we know that the majority of children who start behind stay behind and never catch up. In the three years since the Lab’s inception, much has been accomplished and much work still lies ahead. To understand what impact has been made and where the Lab is taking the work next, it’s useful to review where we’ve been and what we’ve done. 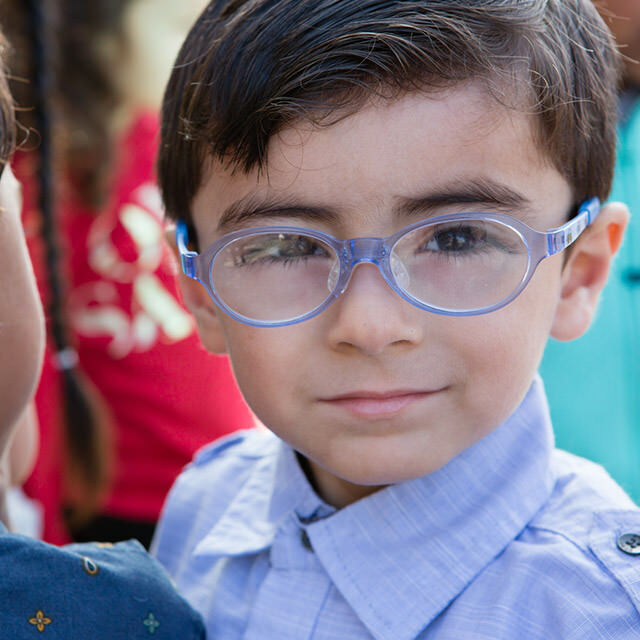 Faced with the imperative to create greater impact, momentum has grown in the early childhood field to reject business-as-usual approaches to the design, implementation, and scaling of effective programs. 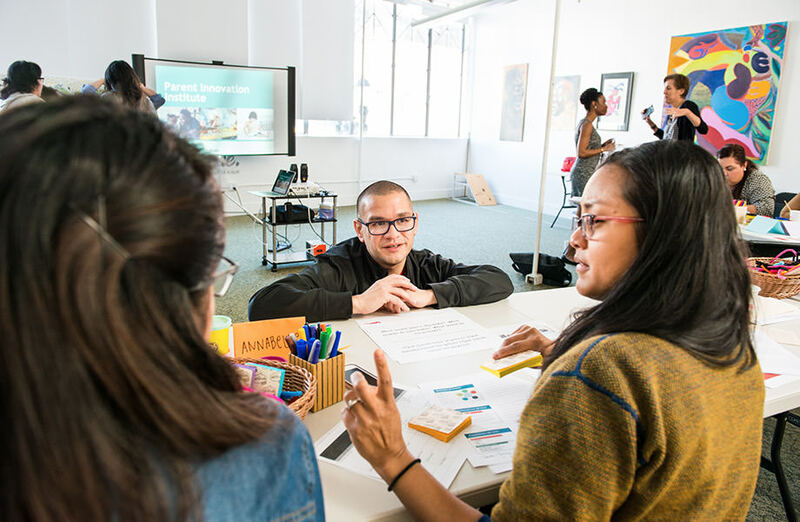 With major support from the David and Lucile Packard Foundation, the Early Learning Lab launched in the spring of 2015 to bring new methods and tools into the sector to catalyze needed change. 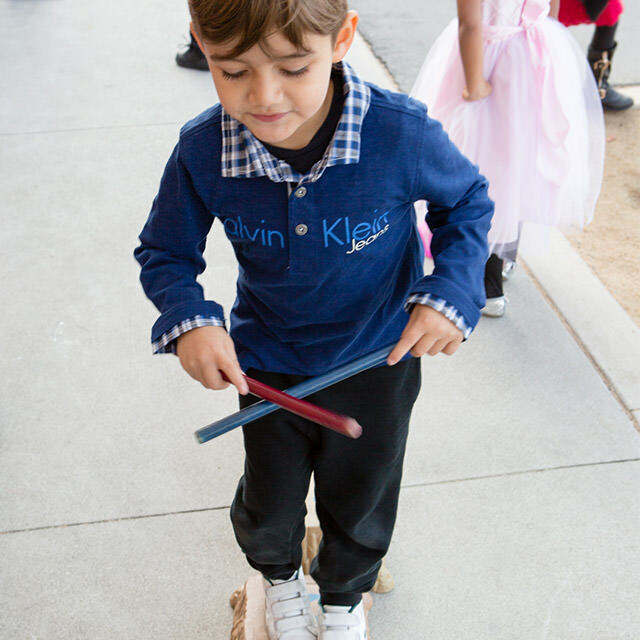 The Lab’s work is focused on developing the key skills and practices that adults — parents, caregivers, and teachers — need to ensure children thrive and are ready for kindergarten. 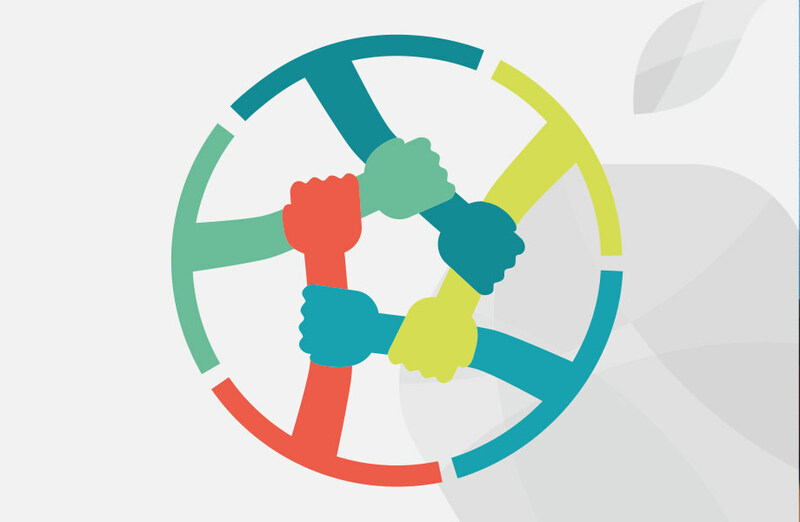 Informed by rigorous analysis of promising, high-impact solutions that build the skills and competencies of adults, as well as deep engagement with leading program implementers, researchers, policymakers, and funders, we have identified three drivers of change that anchor our work at the Lab. The field has been focused on the spread of programs that are not necessarily transferable from one environment to the next. We need to identify effective skills and practices that can be leveraged across settings and programs. 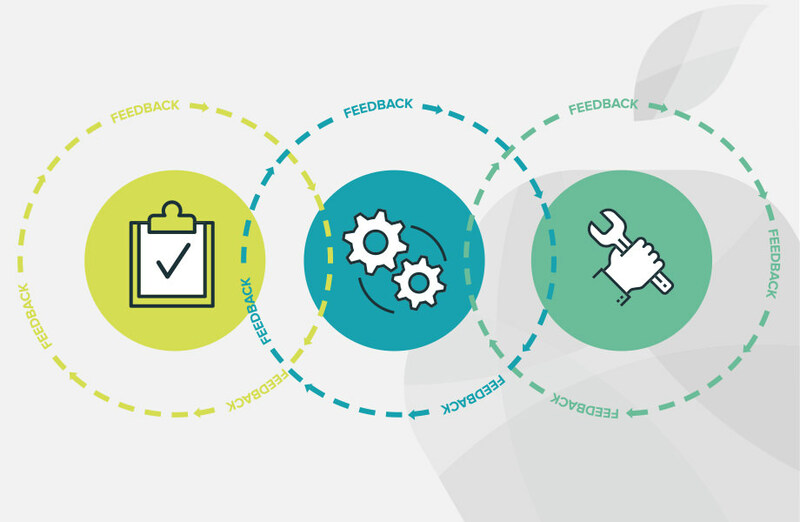 We have relied on traditional design and evaluation in which solutions are developed by researchers and program implementers and in which there’s too much lag time between pre- and post-analysis. We need to know in real time when things aren’t working and co-design solutions with parents and teachers that solve their real-world needs. Program operations, data collection, and communications often rely on manual and time-intensive processes. We need to harness technology and data to improve program impact and scale. 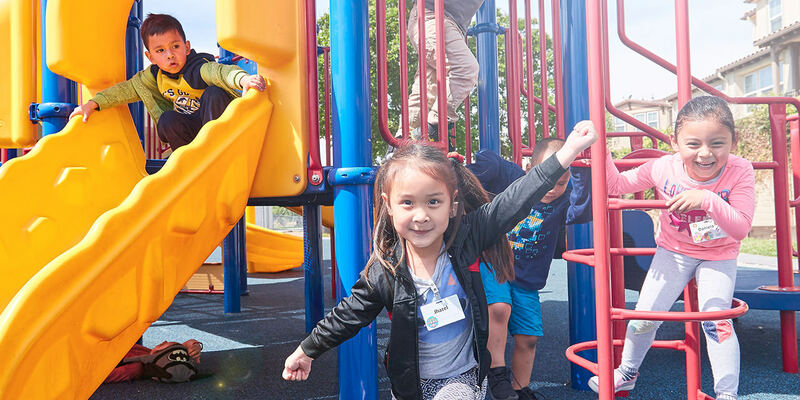 The Lab has proudly supported school districts and their early childhood partners in Oakland, San Jose, and Fresno as part of Starting Smart and Strong, a 10-year, place-based initiative funded by the David and Lucile Packard Foundation. 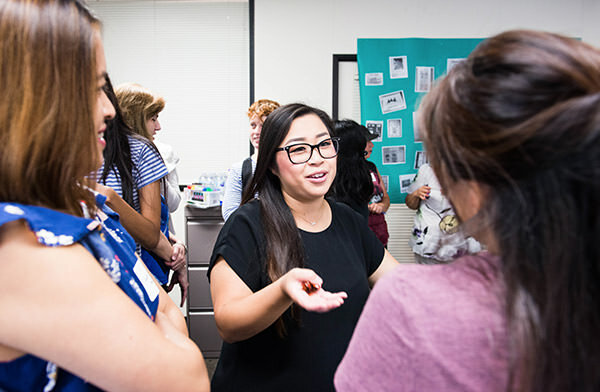 The initiative takes a systems-level approach to the design and spread of effective strategies for teacher professional development and parent and caregiver support in these communities and across California. 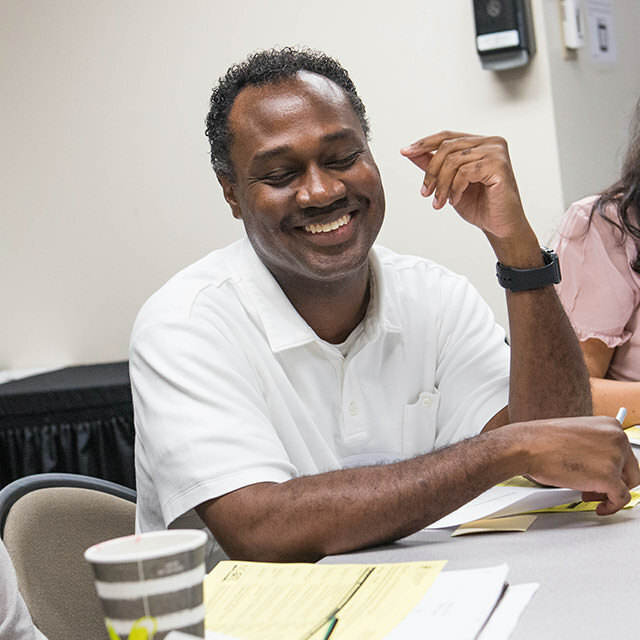 We’ve worked collaboratively with program leaders, teachers, parents, intervention developers, experts, and partners Engage R+D and New Teacher Center in these communities to test new professional development models using co-design and rapid-cycle learning methodologies. The Lab supported each community to identify a focus area based on its experience, insights, and data on children’s success and teacher practice. 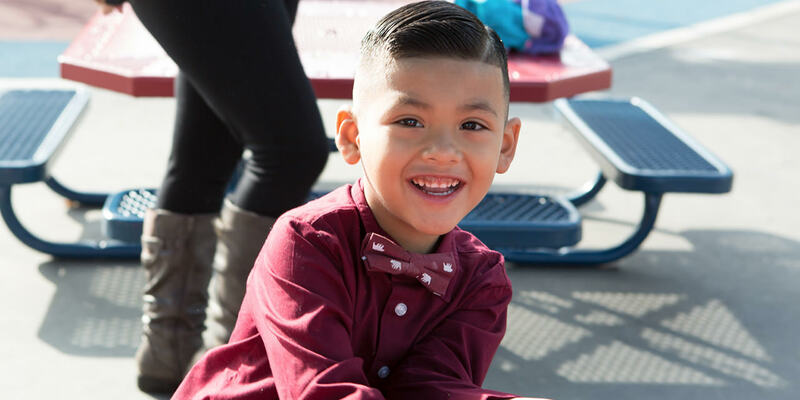 Teams in Fresno, San Jose, and Oakland selected dual language learning, social emotional learning, and trauma-informed care, respectively, as areas of focus. Selecting one core challenge was critical to designing effective solutions and creating a plan to measure impact. 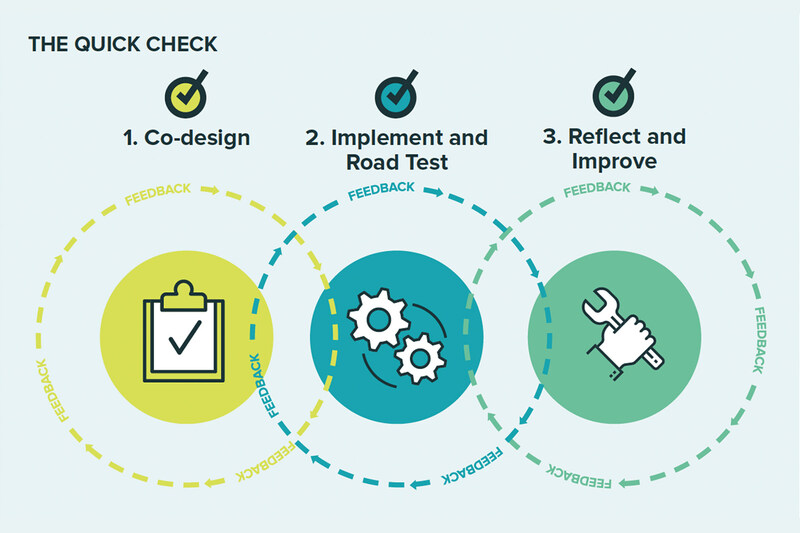 The Lab worked with local implementation teams that comprised teachers, coaches, program leaders, content experts, and other key partners to use co-design and rapid-cycle learning to identify, implement, and assess professional development innovations. Central to the Lab’s work with partners was to collectively review the impact of new models being tested and determine if and how they could be spread more broadly. 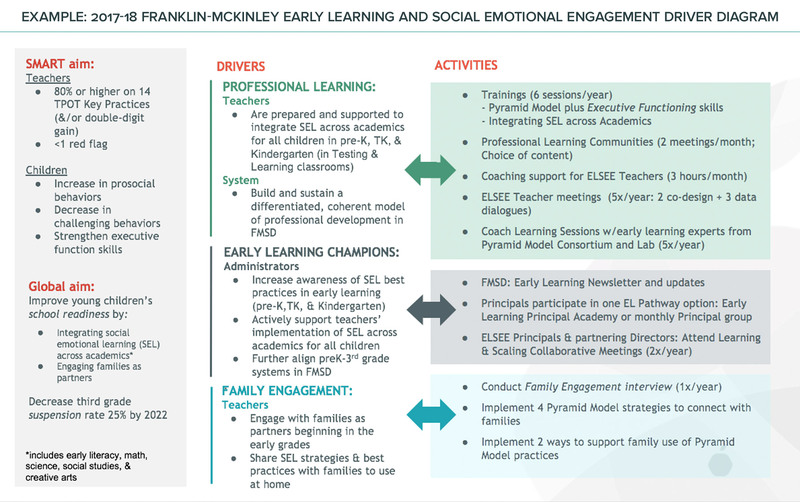 In the San Jose Franklin-McKinley School District, this effort was formalized into twice-yearly convenings in which partners and district and program leaders, reviewed progress and discussed opportunities to scale the strategies supporting social emotional learning. This effort led to the expansion of the intervention into kindergarten and first grade. 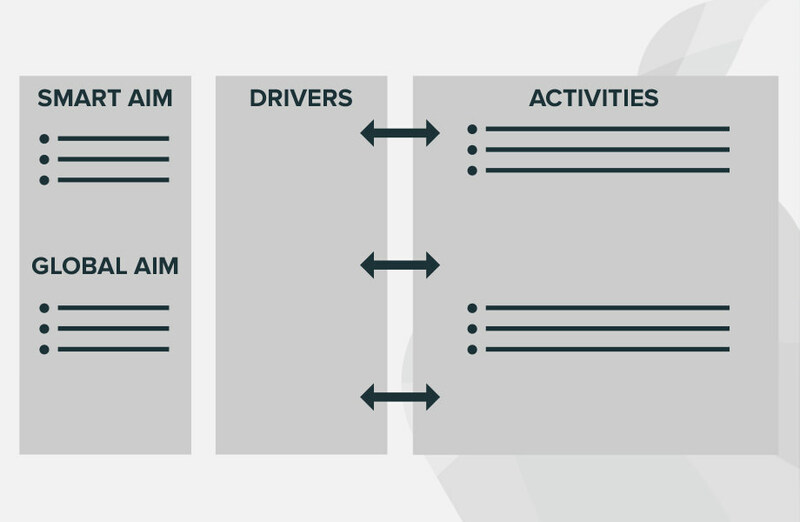 Each community’s Theory of Change, long-term goals, intermediate outcomes, and short-term activities were distilled into a single page called a Driver Diagram. 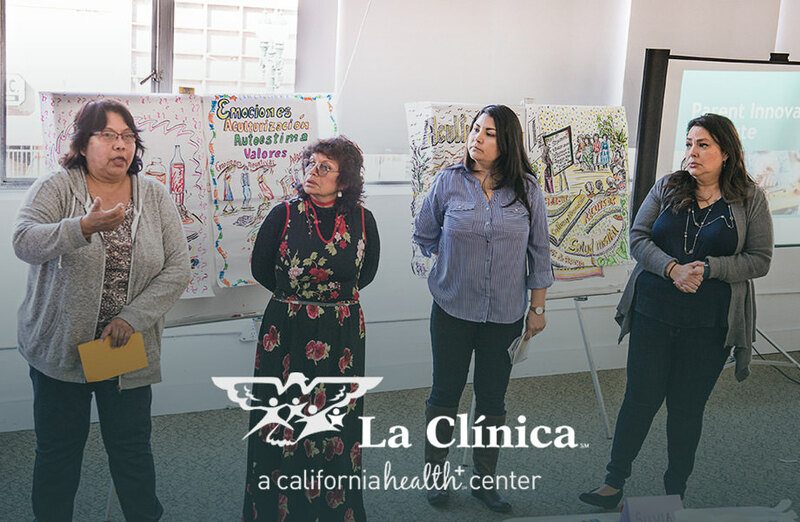 Aligning the many diverse perspectives on a shared plan of action was a complex step that was essential to guiding the focused work of the communities. 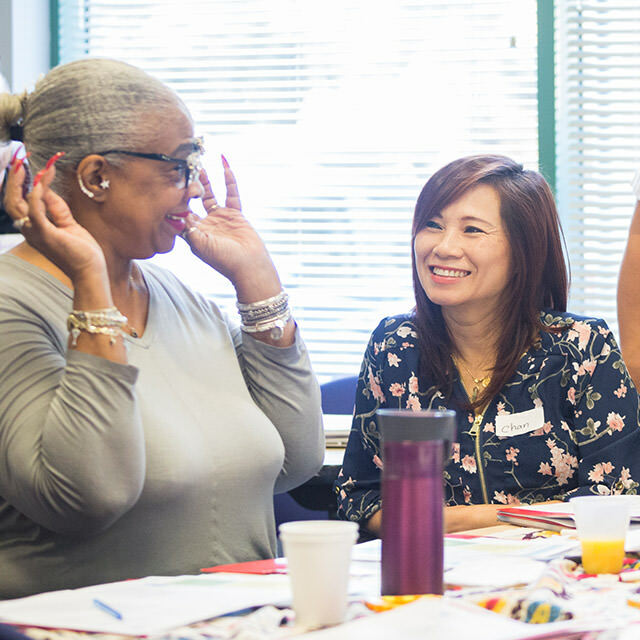 Working with more than 30 nationally recognized early childhood researchers and program implementers, we collectively identified five key skills that all adults — parents, teachers, and caregivers — need to ensure their children are on track and poised for success in kindergarten and beyond. This list of practices was offered as a framework for teams to inform their efforts. 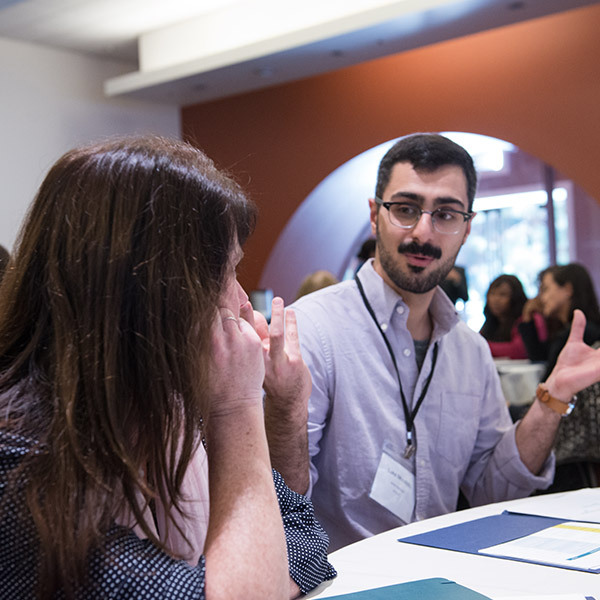 Chris Sciarrino and the Lab’s team developed this simple, online tool that allows teachers to hone target practices by reflecting and recording what they are doing, not yet doing, or want to try next in just a few minutes. 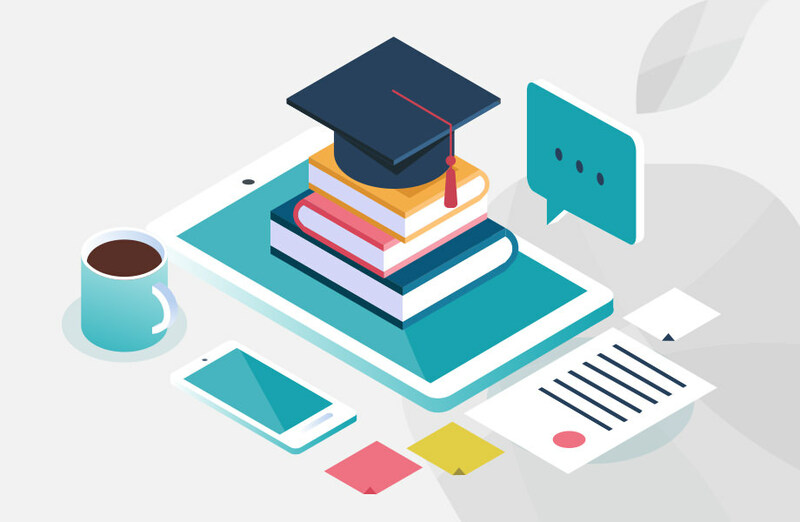 The launch of the Quick Check technology tool demonstrated how rapid-cycle learning and building teachers’ skills and confidence could go hand in hand. 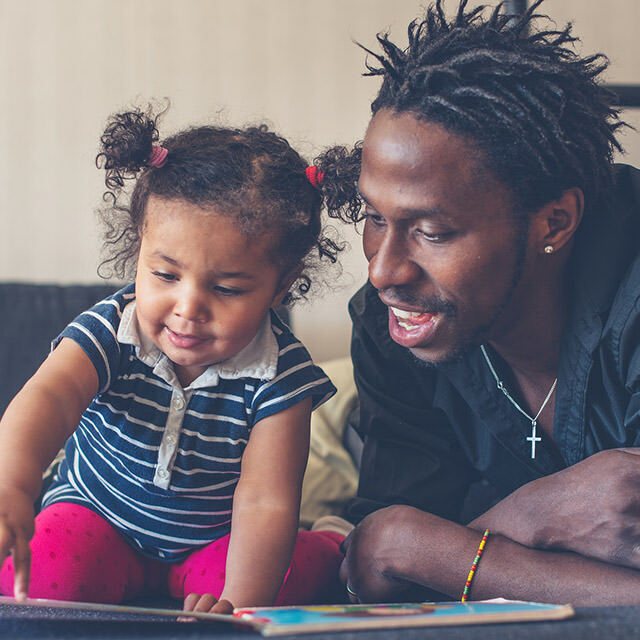 Through many conversations with Early Childhood thought leaders, program implementers, and researchers, we knew that many in the field were thinking expansively about authentic family engagement. There was widespread recognition that existing family support services weren’t having enough impact because they were often designed from the top down and weren’t meeting the real needs of parents. 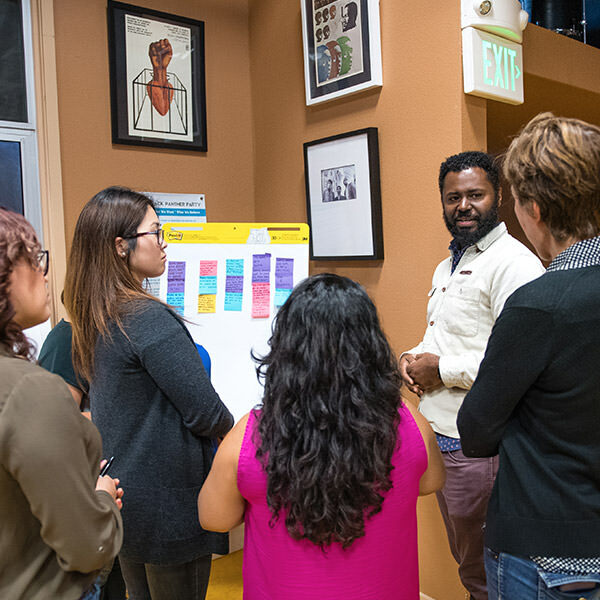 The Lab designed and launched the Parent Innovation Institute to explore how rapid-cycle learning and co-design could benefit efforts to support parents, caregivers, and families. 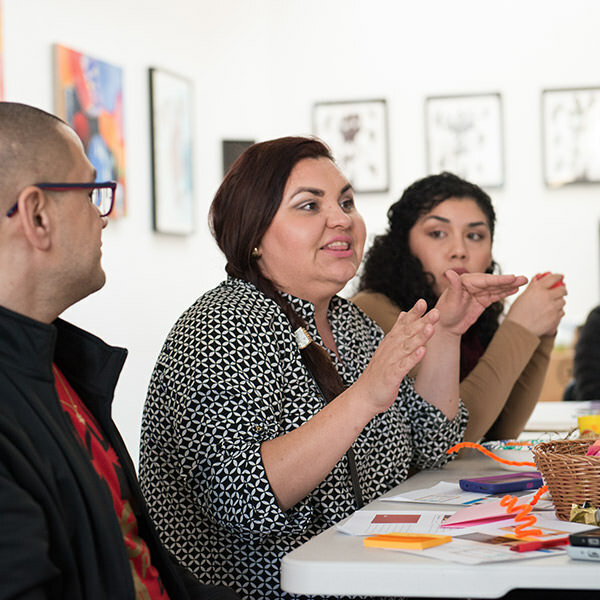 Four leading family-serving organizations in Oakland’s Fruitvale neighborhood including the César E. Chávez Branch of the Oakland Public Library, La Clínica de La Raza, the East Bay Agency for Children, and the Unity Council signed on to work with the parents they serve to co-design solutions, develop leadership and innovation capacity, and strengthen connections between parent-serving organizations in a community. 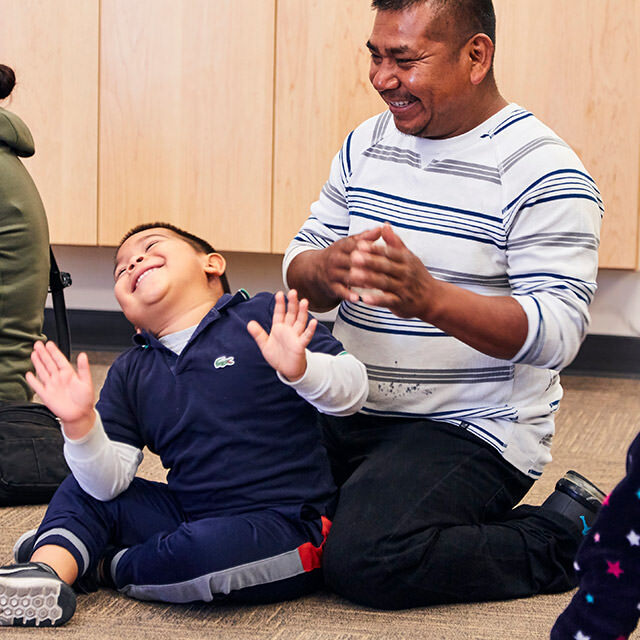 The results are a positive indicator of how co-design and rapid-cycle learning can improve programs and services to better meet families’ needs, develop parent and staff leadership and innovation capacity, and strengthen connections between parent-serving organizations in a community. The team aimed to address chronic disease and poor nutrition in children, and soon discovered a missing link between the mental health issues of mothers and the food they made for themselves and their children: depression, loneliness, and other mental health issues had a direct impact on their food choices. 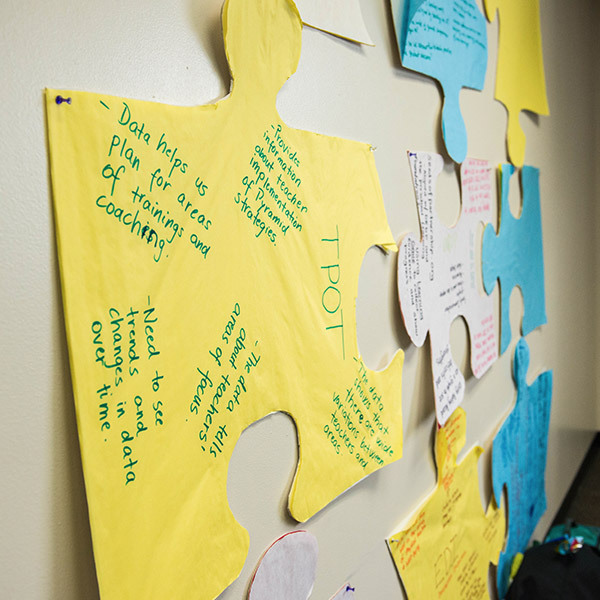 The team developed an integrated nutrition and mental health curriculum, and the prototype was so successful that the team received additional funding to scale the curriculum regionally. The library discovered that many families did not know about its resources and did not have access to subsidized or private preschool. 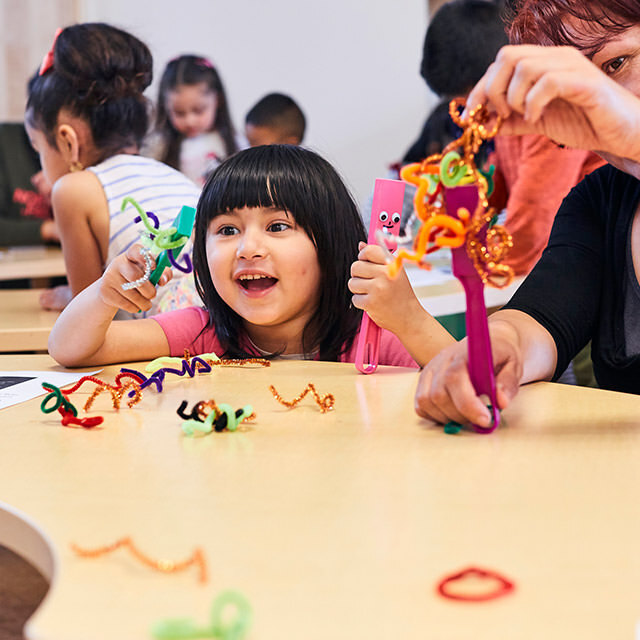 It launched the Play Café prototype, a preschool prep program that over 340 children and caregivers participated in and that is now a regular offering at the library. The team wanted to increase engagement in its programs and learned that it needed to offer more resources that benefited both parents and children. It created two prototypes: a toy lending library for children, and ESL (English as a Second Language) classes for parents. 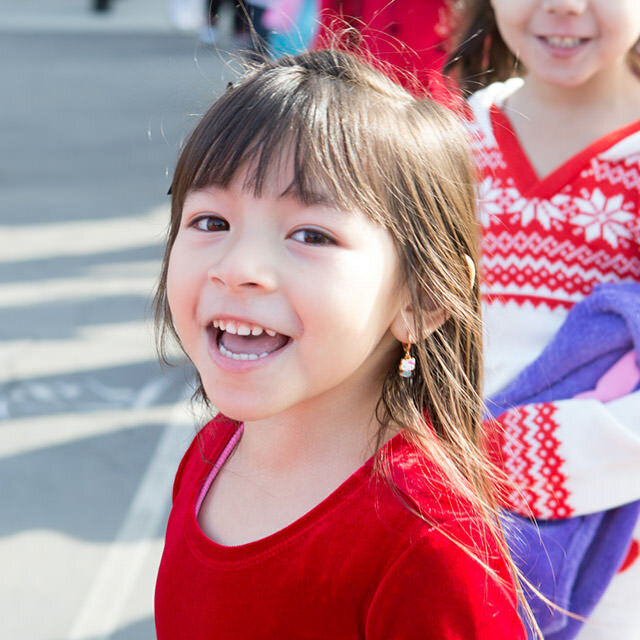 More than 100 families used the toy lending library, and 25 parents attended the ESL classes. The prototypes were well-received and continue to be offered at the resource center. 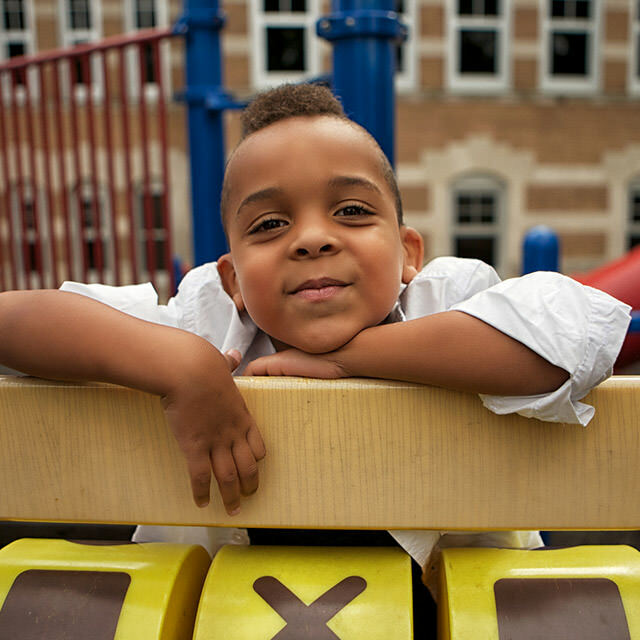 This organization chose to focus on increasing father engagement in its Head Start programs. Its exploration of this issue led it to discover an unexpected insight: Mothers often act as “gatekeepers” — defining and sometimes even limiting fathers’ interactions with their children. With this insight in mind, the team designed a prototype for the whole family by expanding its Day with Daddy event and adding a community-building experience for moms. 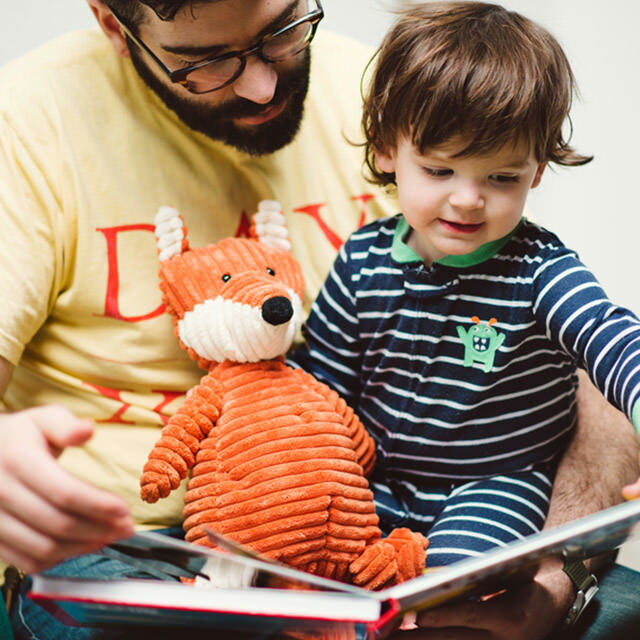 The prototype was popular with families and greatly exceeded attendance expectations: Four times as many fathers attended Day with Daddy than before and families reported improved relationships between fathers and children. 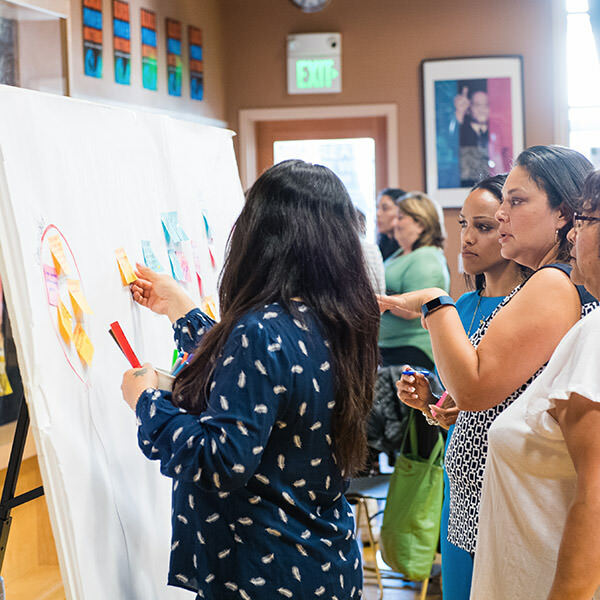 We conducted a series of design sessions in 2018 with 60-plus low-income parents to better understand challenges they face in supporting their children’s healthy development and help them work together to ideate solutions. Insights generated from this work include the need to better integrate systems that serve parents and the realization that more supports are needed to address parents’ mental health and self-reported struggles with stress, social isolation, and anxiety. To help the field better understand how parents are using technology, we published a series of papers including NextGen Technology: Insights and Recommendations to Support the Parents of Children Ages 0—3 and 10 Critical Design Elements for Parent Engagement Technologies. These publications generated many inbound requests for consultation and guidance, as well as participation in conferences and webinars. 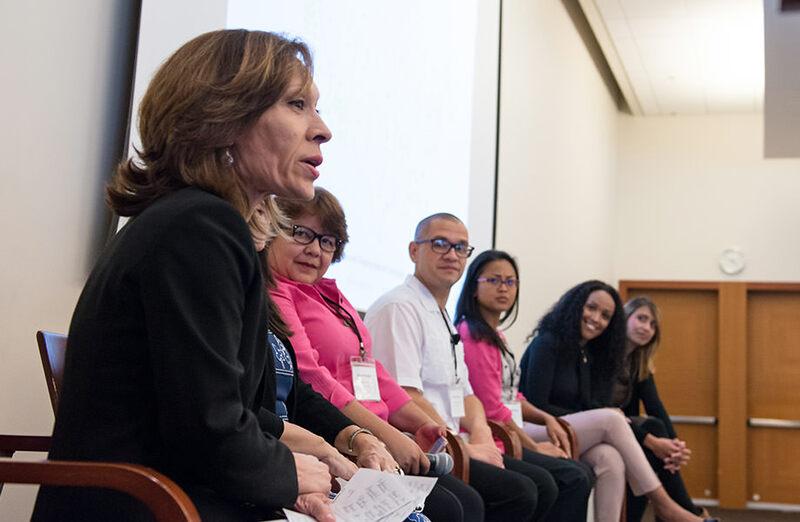 In 2016, the Lab hosted The Next Generation Testing & Learning Summit and dedicated a full day to the topic of parent engagement. Assessing parent behavior change, co-designing with parents, and using promising, parent-focused technology interventions were discussed and collectively became the catalyst for the launch of the Parent Innovation Institute the following year. When we started the Lab, there was widespread recognition that the early childhood field was lagging behind in adoption of the digital technology and data systems that had transformed many other sectors. In our view, this was mostly due to lack of investment in technology infrastructure and too little strategic technology planning. We also felt there was a disconnect between organizations relying on high-touch programs and parents using technology, often mobile devices, to obtain parenting information. Over the past three years, the Lab has conducted an array of original research, including field surveys, listening tours, conferences, webinars, and facilitated conversations, to identify key opportunities and barriers to leveraging technology for impact and scale. The Lab has focused its efforts on supporting the field and technologists and has worked to create bridges between the two. We conducted a survey of the technology needs of 400 members of the field and used the information to develop three webinars during 2015, reaching a total of almost 2,000 attendees. Topics covered Technology for Family Engagement, Technology to Support Early Literacy, and Supporting Early STEM. 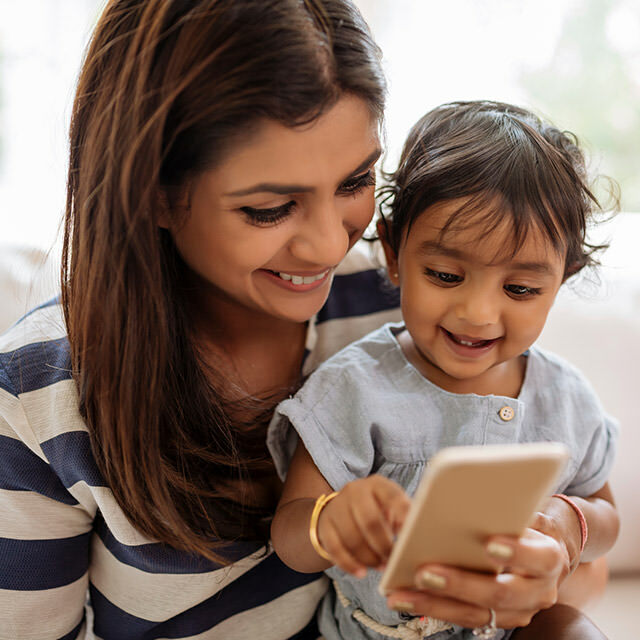 To increase understanding of how pervasive technology is in the lives of modern parents as well as how to use technology to support them, we developed the NextGen Technology report. The publication included a landscape analysis of technology products targeted at the parents of children 0-3, case studies of compelling products, persona studies of low-income parents, and recommendations for programs looking to increase their reach and impact through technology. 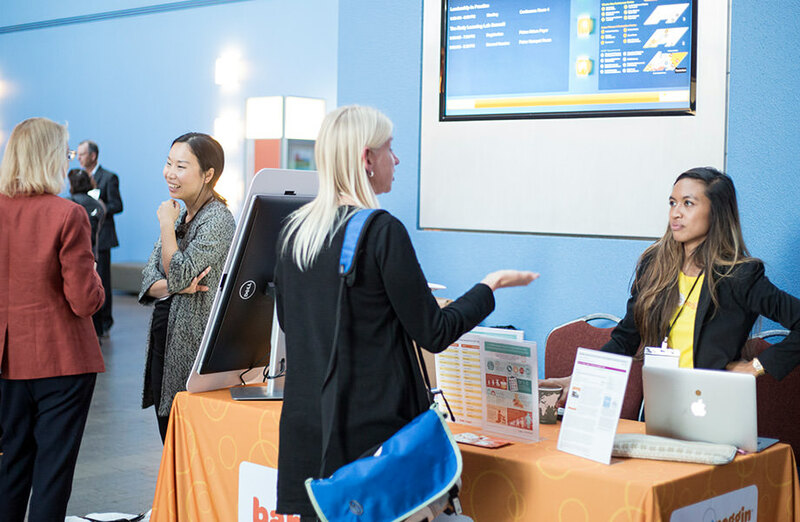 Our 2017 summit brought together early childhood thought leaders and highlighted the latest research on how parents and teachers use technology. It also included an expo of promising tech products for the field. 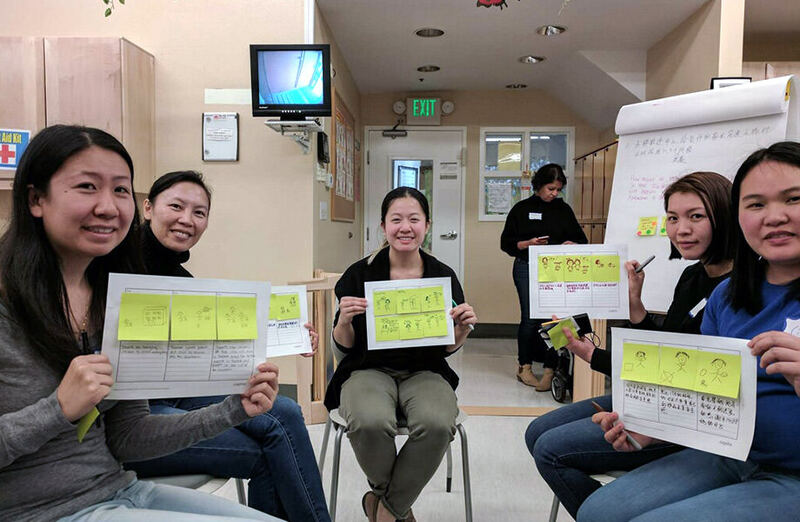 The Lab conducted user research to make design and process recommendations for UCSF Benioff Oakland Children’s Hospital’s FINDConnect tool. 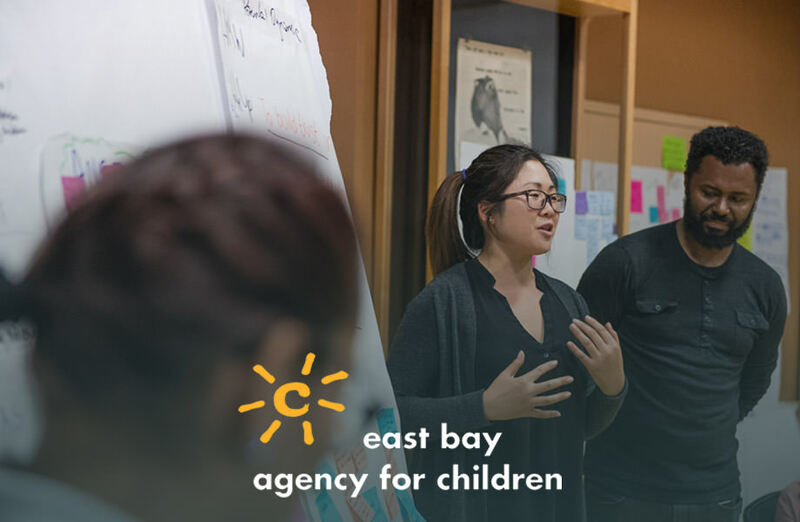 In addition, the Lab provided consultative services to a Silicon Valley tech giant on early childhood practice for the development of an artificial intelligence– powered adult-child assessment tool. Through our experience working with districts and their partners in Fresno, Oakland, and San Jose and with family-serving organizations in The Parent Innovation Institute, we have learned a lot about how innovation methodologies and technology can unlock change within early childhood systems and local communities so that parents, caregivers, and teachers have the tools and supports needed to ensure children’s healthy development and kindergarten readiness. We have also deepened our perspective by conducting intensive original research through focus groups, creating an innovation listening tour, and fostering opportunities for knowledge sharing via two annual summits, webinars, and meaningful discussions with national thought leaders. Across these many inputs, we identified the Three Drivers of Change the field needs to embrace in order to make significant progress toward ensuring all children are poised for success in school and life. We have thought deeply about the enabling conditions and the specific, actionable steps the field can take now to apply these change drivers. There is widespread recognition in the field that scaled impact will never be achieved by taking a small number of evidence-based programs and replicating them. Less recognized, but fundamental to scale, is the need to align the different approaches to skill-building across teachers, parents, and caregivers. 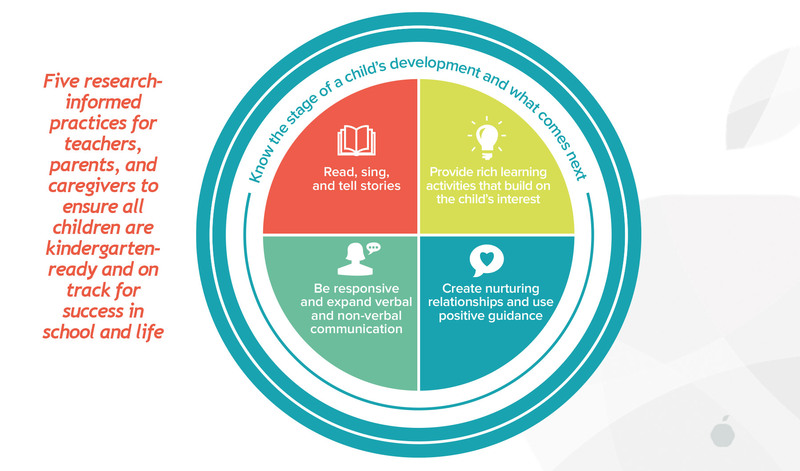 The Five Priority Practices are the Lab’s effort to create this alignment and develop a simple framework that can be used by any and all adults in children’s lives and that is not limited to any particular program or curricula. Gain consensus on parent-caregiver-teacher practice approach by agreeing that the traditional approach to replicating programs is not working. Focus on developing a shared framework for essential skills and practices of parents, caregivers, and teachers that provides the way forward. Align designers, implementers, and researchers across systems and programs on a handful of evidence-based skills and practices. The Lab’s Priority Practices, the Boston Basics, and Zero to Three’s Positive Parenting behaviors are example frameworks that could be cohered. 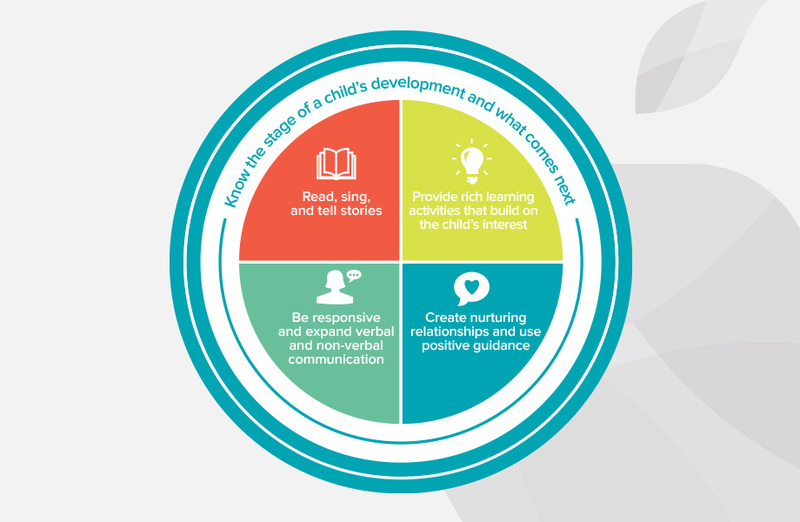 Make skills actionable and adaptable with a clear understanding of how they are applied in context, with adaptations for children within the 0-5 age range and for teachers, parents, and caregivers. Develop tools for measuring key practices and establish proof points for how these skills complement existing curricula for teachers in classroom settings and are equally effective for parents and caregivers. Invest in a practice-based approach by driving program and intervention design and implementation to adopt a practice-based focus and share learnings with the field. Too often we strive for strict adherence to a program model and leave little room for innovation or ways to adapt to local contexts. Furthermore, there is growing recognition that co-design with the end users — parents, caregivers and teachers — is needed to create effective solutions and adapt them to local contexts. This means going beyond one-off surveys, infrequent focus groups, and the symbolic inclusion of a parent or teacher on advisory boards. 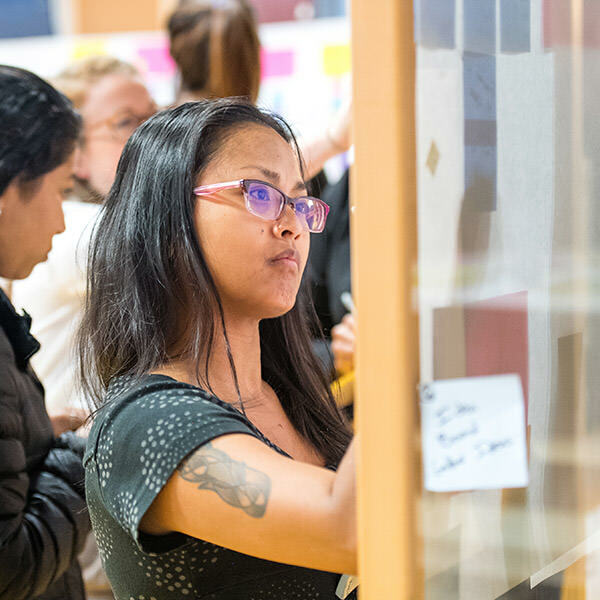 We need to know where the breaks occur in real time — without a lengthy pre- and post- measurement period — and empower the end users to identify and co-design solutions in the beginning, middle, and end of implementation. 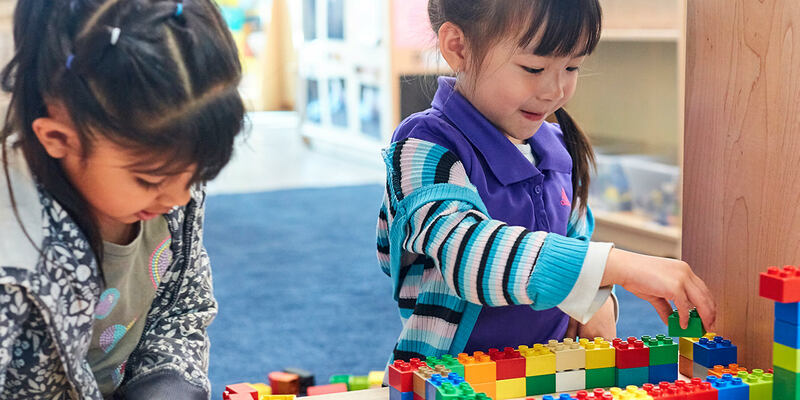 Shift our collective focus toward using co-design and rapid-cycle learning to test design elements and address implementation breaks in our early childhood solutions. When we identify, test, and adapt solutions to ensure core elements are combined with flexibility to fit local contexts, we create solutions that stick and have the impact we desire. Confirm program leaders' commitment to providing internal and external staff time and resources to ensure skilled and sustained facilitation and uptake of processes. Leadership must see these efforts as a priority, follow the progress, and commit to taking what is developed and scaling that proven solution throughout the system. Assess measurement strategies and readiness early to ensure data infrastructure and culture are in place prior to engagement. Measurement is often punitive and holds a magnifying glass to what’s not working. The use of data for rapid-cycle learning is fundamentally different: It’s meant to be educational, actionable, and validating — for end users — early childhood staff, teachers, parents, and caregivers. Address perception barriers and demystify rapid-cycle learning and co-design from the start. The concept of employing new approaches — quickly — may generate concerns: that road-testing solutions and strategies isn’t an effective use of time or simply that “new” approaches may be equated with “unproven.” Issues with terminology can be a distraction and a barrier to engagement and uptake. 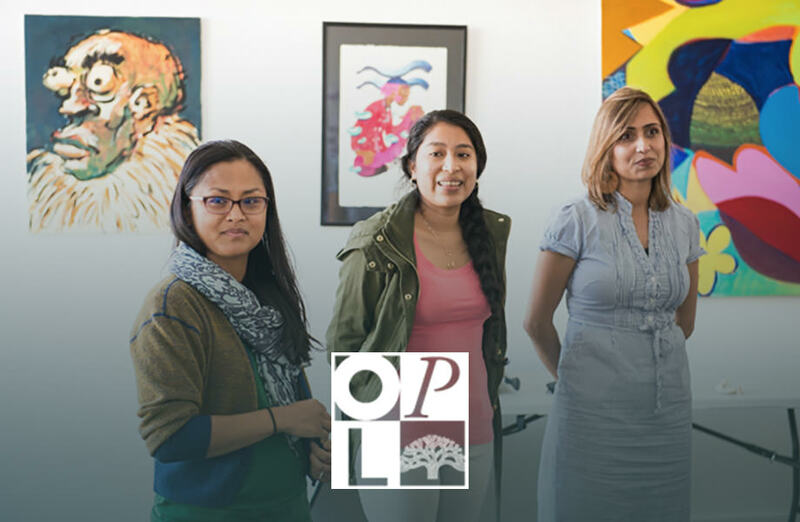 Strengthen workforce capacity by providing rapid-cycle learning and co-design professional development opportunities and by hiring incoming practitioners with 21st-century skills. 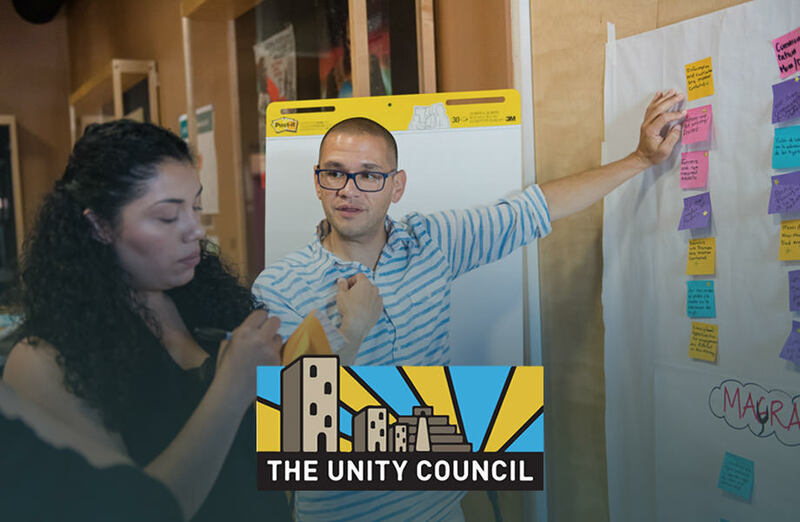 Develop best practices for co-design with parents, caregivers, and teachers that recognize implicit biases, education, and cultural differences, and the need to foster respect and partnership around shared goals. In the short time the Lab has been in existence, we have noticed an increase in the overall acceptance of and appetite for technology-based solutions in early childhood. 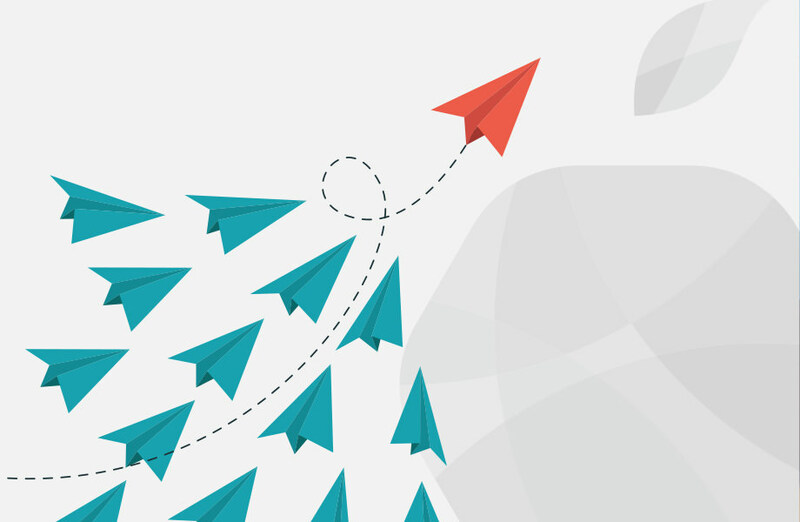 While this is very positive, oftentimes this manifests as the search for the “silver bullet” — the new, shiny product or program that will raise outcomes for children across the board. 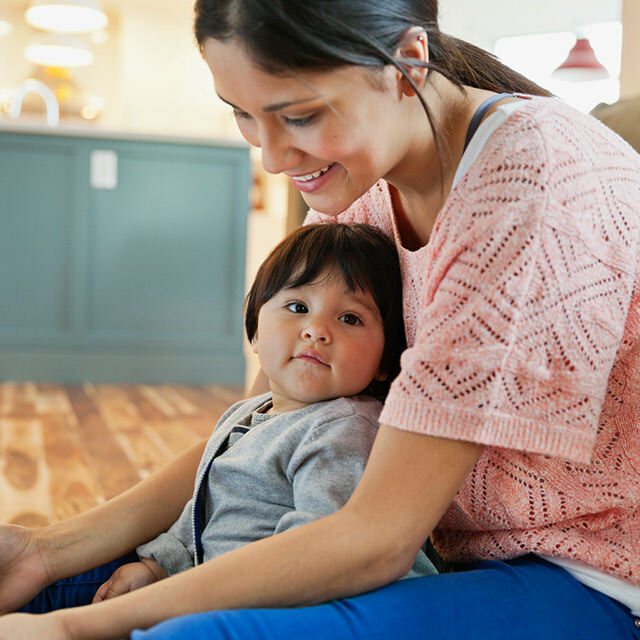 While technology alone is not the answer, it is a tremendously powerful lever to optimize existing investments and enhance existing strategies to support children and families. Build technology strategy into program design and budget to determine how it can support program objectives and be used to create programs that meet people where they are. This includes understanding your users’ access to, comfort with, and skill level with technology — and designing your programs accordingly. Budget planning should provide for the total cost of ownership of any product or software including the license fees, tech support and training, and maintenance of hardware and software. Use technology to reimagine and integrate services and systems to greatly enhance parents’, caregivers’, and teachers’ ability to provide and receive support. Early childhood support services are often fragmented and rely on archaic technology systems. Parents, caregivers, and teachers are burdened with duplicative, manual, and time-intensive processes that unnecessarily complicate their efforts and even prevent them from receiving or providing necessary support. 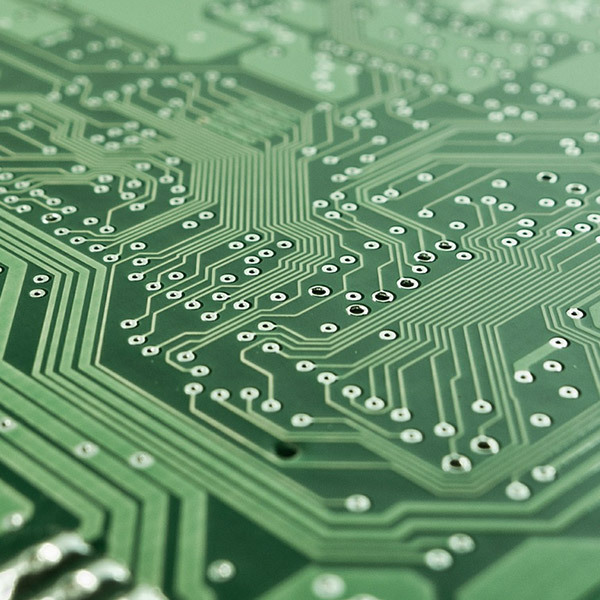 Support technology via a concerted investment in infrastructure to ensure that schools, centers, and programs have 21st-century technology including high-speed internet and database resources needed to operate efficient, high-quality programs. Invest in new technology product development, developing new technology products is not cheap. The for-profit technology world relies on VC funding to create easy-to-use and effective products (in exchange for a return on investment). If we are interested in developing products that can be used to serve low-income communities, we need to offer a similar level of investment capital. Keep an eye on emerging technologies that can fundamentally change the way the field works, such as the use of AI to assess adult-child interactions; game-based child assessments, and predictive analytics that can help us understand and reach families. 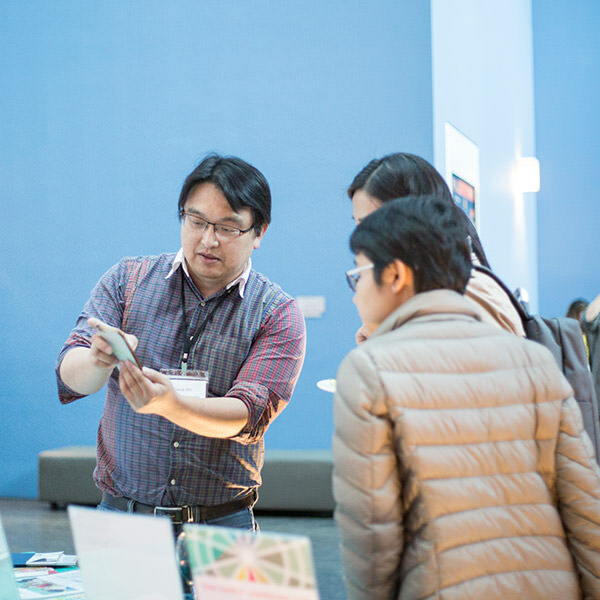 Help the field make smart technology decisions by providing time and resources for sourcing and curating early childhood technology products. Evaluation criteria (and data) is needed to support the field making smart decisions about technology investments. 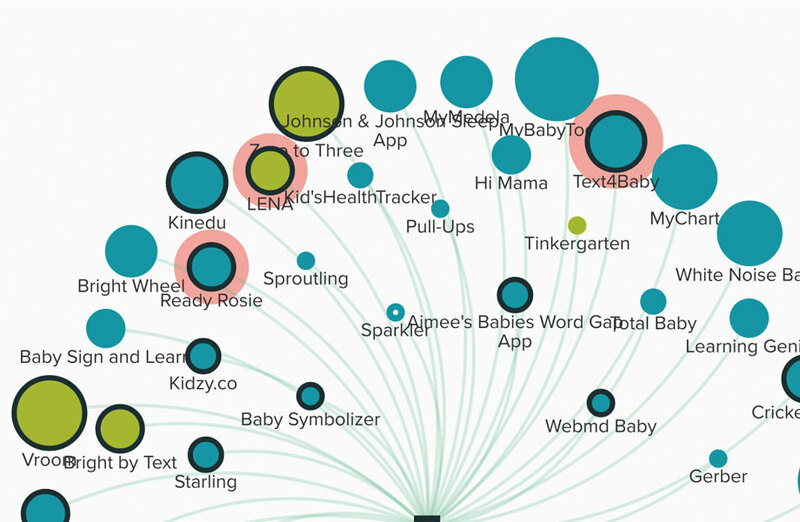 It is an exciting time to be working in the early childhood space. There is new research, talent, and money being brought to bear on our collective imperative to address the readiness gap. 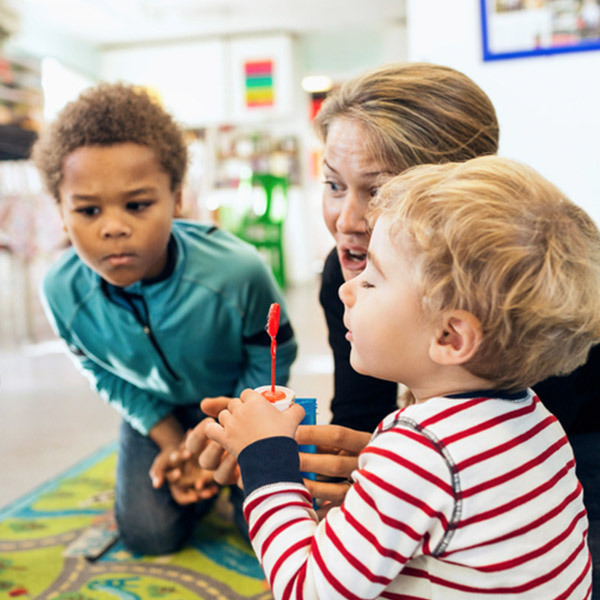 Those who have been in the field are feeling the wind in their sails as their hard work is recognized and they see possibilities for making long-sought-after headway in delivering on the promise of healthy development and kindergarten readiness. The work of the Lab is taking place in this context. 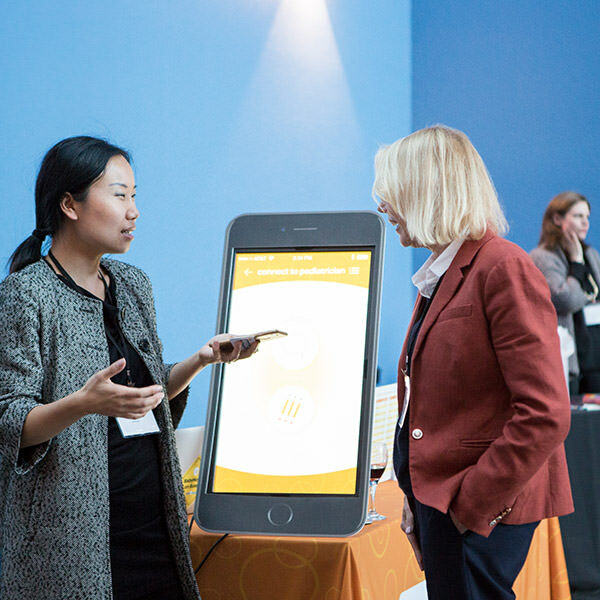 We are proud to be part of a growing movement to bring innovation into the practice, policy, and research ecosystem and of the work we have done to inform and drive progress. 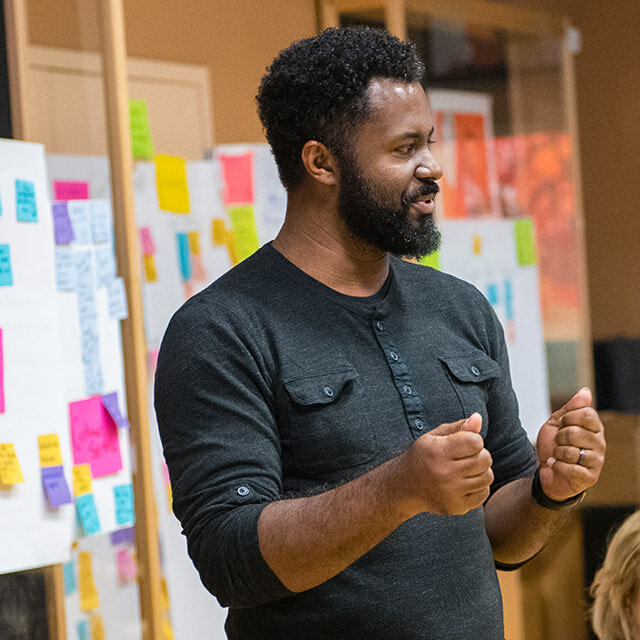 But to create breakthrough change, we’re calling for a more strategic focus — including policy and investments — that support the three NextGen Drivers of Change we put at the center of our work. And we plan to do our part too. 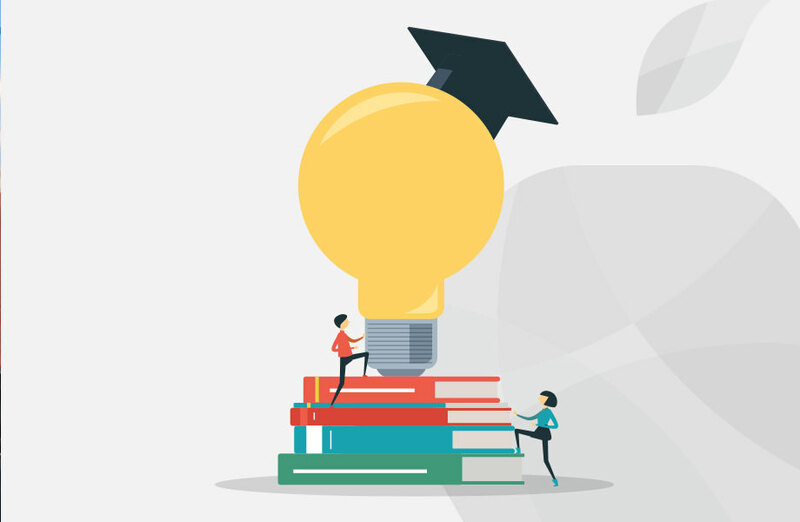 Looking ahead, we’re launching efforts designed to drive the spread of skill-based support strategies for parents and teachers, and advance the field’s smart use of technology. A key focus will also be developing co-design and rapid-cycle learning capacity with key institutions in local communities to create sustained early childhood innovation ecosystems over time. And we’re going to continue to report on our learnings and cultivate opportunities for knowledge sharing. 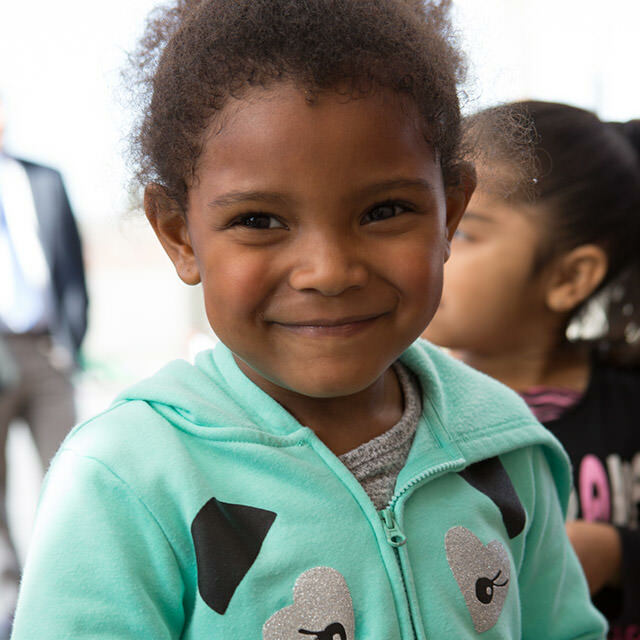 We are excited and eager to do much more, and are actively seeking partners to support our work using innovation strategies to ensure all children thrive and are ready for kindergarten.